These Savings Incentive Program recipients enrolled in the program in 2012 and graduated in 2014. Dawn Anderson, of Kindred Spirits Goat Farm near Badger, raises meat goats and herding dogs. Dawn has started with a small Boer goat herd but has plans to expand the herd by purchasing more goats and improving on genetics. Other future plans include growing pumpkins, strawberries and herbs. With her Savings Incentive Program savings and match, Dawn is thinking of buying a pull-behind-tiller to plant forages for the goats, or a grain bin. Daniel and Julie Beougher operate 7 Pines Farm near Maxwell on 11 acres, where they raise organic produce and chickens (broilers and layers), and make salsa in their on-farm commercial kitchen. They also raise small numbers of meat goats, hogs and turkeys and plan to expand each of these enterprises. Marketing of their products is done through farmers markets and the Iowa Food Cooperative, as well as through their catering business. They will decide how to use their Savings Incentive Program savings and match based on what they learn through the program and by developing their business plan, but are considering purchasing haying equipment. Anne Bohl and Meghan Spees of Sweet Earth Farm, near Decorah, offer sustainably grown vegetables and pastured poultry. They sell at the Cedar Rapids farmers market, to a few local restaurants and the local co-op, and plan to start a CSA in 2013. Though not certified organic, Anne and Meghan do not use any chemicals on their farm. Part of their farm mission is to improve the land through sustainable farming practices involving cover crops, compost and manure from nearby farms. Anne and Meghan are considering purchasing a BCS walk-behind tiller with their Savings Incentive Program savings and match. Cheryl Daman and Susan Yario grow organic vegetables, herbs, aronia berries, cut flowers and hay at Heartfelt Heirloom Farm in Springville. The 48-acre farm has been in the family of Dean Daman, Cheryl’s husband, since 1973. Conservation practices on the land began in the late 1970s with the creation of a three-quarter acre pond; 14 acres of pine and hardwood trees planted as a forest restoration; and the seeding of a 20-acre area of pasture in native prairie grasses and plants – land that was then enrolled in the Conservation Reserve Program. Now that Cheryl’s children are grown, she is forging a farming business with her farm partner, Susan. Their five-year vision for the farm includes increasing local and domestic wholesale relationships with vendors, restaurants, grocers, florists, cooperatives, schools and wineries. They recently erected a season-extending 30-by-72-foot high tunnel. Possible uses for their Savings Incentive Program savings and match funds include purchasing a tractor with implements and an essential oil distiller. Kevin and Ranae Dietzel raise dairy cattle at Lost Lake Farm near Jewell (part of their farm used to be under Lake Cairo, a 1,200-acre lake that was drained in the 1890s). Kevin and Ranae are growing their heard with a long-term goal of 20 to 25 milking cows. They plan to turn all the milk into cheese, including an Alpine-style cheese, fresh mozzarella, provolone and camembert that they will market throughout Iowa. Goals for 2013 include putting up a dairy building that will house a milking parlor, milk room, and cheese-making and cheese aging rooms. Plans for their Savings Incentive Program savings and match: cows or equipment. John and Sarah Gilbert work with John’s parents and uncle on Gibralter Farms, an Iowa Century Farm near Iowa Falls. The farm currently raises corn, soybeans, oats and hay and has dairy cows and pigs. The Gilberts milk around 40 Brown Swiss cows and sell milk to Swiss Valley Cooperative. They also pasture-farrow about 25 sows twice per year and finish the pigs in a hoop building, selling them to Niman Ranch. Their long-term goal is to market the farm’s products directly to the consumer, with an on-farm creamery to process milk into yogurt and cultured butter. 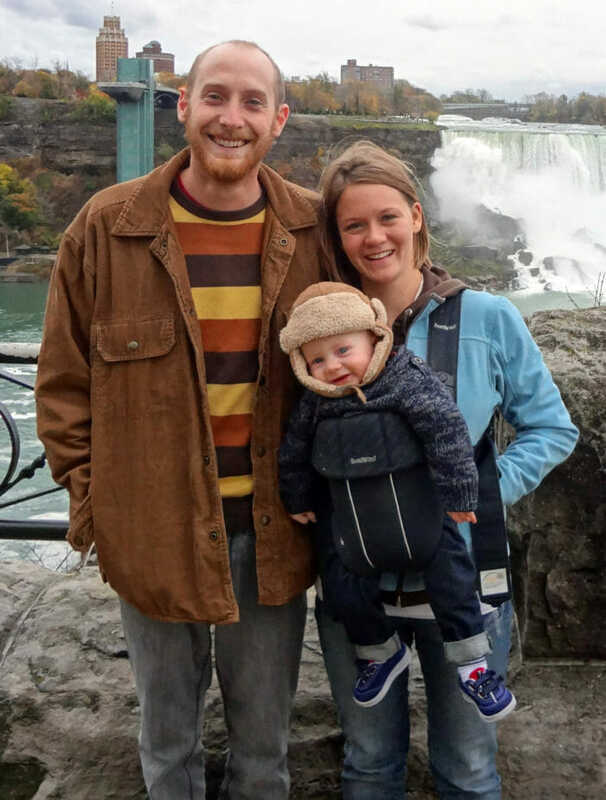 With their Savings Incentive Program savings and match, John and Sarah hope to purchase a vat pasteurizer and butter churn for the on-farm creamery. Twyla Hein and Kim Cross of Earth Biscuit Farm, near Tipton, produce eggs, vegetables, berries and other fruits. Twyla grew up on this farm, but left Iowa “to see the world” after high school. Years later, she and Kim returned and purchased part of the old farmstead. They have a small CSA operation and sell eggs through the Iowa Valley Food Co-op in Cedar Rapids. With their Savings Incentive Program savings and match, Twyla and Kim are pondering the purchase of additional land, a high tunnel or a walk-in cooler. Dave and Meryl Hiler grow row crops at Hiler Farms near Rockwell City. They row-crop with multiple family members and recently purchased their own 40 acres from a retired neighbor. Future plans include expanding the number of owned acres in lieu of rented acres. Their Savings Incentive Program savings and match dollars might be spent on updating equipment, starting a ewe flock, having a few sows or a combination of all these things. William Lorentzen offers sustainably grown vegetables and herbs from Oak Savanna Mushrooms near Mechanicsville. Not growing up a farmer, William began as an intern on a North Carolina farm specializing in raising mushrooms. He brought his knowledge to Iowa and the Echollective Farm where he has grown oyster mushrooms successfully for sale to CSA members, market, restaurants and New Pioneer Food Co-op. William is working on shiitake production for 2013 and is developing an eastern Iowa mushroom cooperative. Potential Savings Incentive Program savings and match purchase possibilities include stainless steel equipment, inoculating tools or building materials. Martin Lucas of Walnut Creek CSA grows produce in Urbandale. He recently purchased a 5-acre plot specifically to start a CSA as close to the end customer as possible. Martin’s goals over the next few years include increasing his CSA to 100 members, adding pasture-raised poultry and pork, and erecting high tunnels for season extension. A bed shaper to save labor on making raised beds is what Martin plans to purchase with his Savings Incentive Program savings and match dollars. Loren and Heather Luitjens, of Luitjens Farm, currently raise row crops and hogs on 46 acres near Ashton. Loren’s family owns a dairy that he and Heather would like to take over someday, make improvements to and update some of the facilities. They currently own a small portion of the family’s Brown Swiss herd. Ideas for how to use their Savings Incentive Program savings and match dollars include buying dairy equipment, livestock or updating the hog facilities for easier loading when taking them to the sale barn. Tracy Meise and Matthew Brandenburg raise vegetables on their farm near the Avenue of the Saints outside of Floyd. They operate on 57 acres, with portions in the Conservation Reserve Program, some conventional row crops and vegetable gardens. Currently, they sell at farmers markets and have purchased a 22-by-150-foot greenhouse to help with season extension. Tracy and Matthew aspire to grow heirloom vegetables, specialty peppers and cool-season crops for broader regional consumption through an extended season. One of their next steps is to build a processing house to ensure they are delivering the freshest and cleanest produce possible. They are considering purchasing a walk-in cooler with their Savings Incentive Program savings and match dollars. Danelle Myer of One Farm grows diversified vegetables and herbs near Logan. She spent her childhood on a conventional beef, corn and soybean farm, graduated high school and left. After a 20-year career in marketing and public relations, Danelle concluded she wanted to be an organic farmer. She participated in an agro-ecology apprenticeship program in California and then moved home to the family farm where she started her own horticulture operation. Danelle currently rents land from her parents but is purchasing her own farmstead nearby and will move her entire operation over the next two years. Considerations for her Savings Incentive Program savings and match dollars: building and equipping a washing station and packing shed. Phrakhounmany (Air) Philavanh grew up on his family’s farm in Laos and spent time helping his grandfather on the farm. 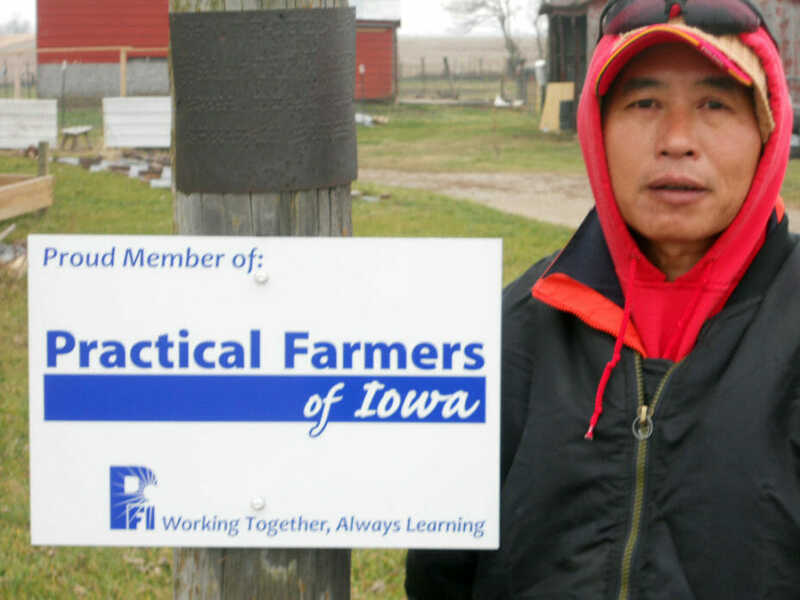 After moving to Iowa, Phrakhounmany – who goes by the nickname “Air” – purchased 11 acres in Milo that he is improving with hopes of farming full-time and one day passing the land to his daughter. He has raised pigs, but is currently raising pastured beef and Muscovy ducks – highly desired by his Laotian niche market – and will expand into chickens and eggs as his on-farm resources allow. His beef enterprise is focused on the sale barn until he knows how many cows his pastures can carry and finish. In his farming practices, Air seeks to employ sustainable and natural methods, such as avoiding chemical use, in an effort to protect the soil, water and wildlife. Future farm goals include improving his pastures and breeding his livestock on the farm. Possible purchases with his Savings Incentive Program savings and match dollars include fencing, breeding livestock and watering equipment. Ben Pullen and Bri Meaney raise sheep and hay on their farm near Spencer, on land purchased by Ben’s great-grandfather in 1913. Ben’s family actively farmed until his father’s death in the late 1990s, when the family decided to cash-rent the land. A few years ago, Ben, Bri and their children returned to the family land and purchased 10 bottle lambs that started their sheep operation. While still working as a special education teacher, Ben custom-cuts and bales hay and tends to his growing flock. Future goals include taking over production on all 200 acres of family-owned crop ground, expanding the sheep flock and adding an outdoor swine operation. With their Savings Incentive Program savings and match dollars, Ben and Bri plan to purchase farrowing huts and bred Berkshire gilts. Julia Slocum recently established her vegetable farm, Lacewing Acres, north of Madrid for the Boone and Ames areas. She plans to market her produce through a CSA, the Ames Main Street Farmers Market and a variety of other outlets, including local restaurants, caterers, buying clubs and conventional and natural food stores. Julia’s goals over the next five years: grow to a 200-member CSA on about 6 acres; build the health and quality of her farm’s soil; maintain and promote habitat for beneficial insects; and provide opportunities for eaters and their families to learn about growing food and land stewardship first-hand. With her Savings Incentive Program savings and match dollars, Julia is considering buying a cultivating tractor, potato digger implement or walk-in cooler. Neal and Laura Vellema raise pastured beef near Harris. While Neal works full-time on his parent’s dairy, he and Laura have started raising their own steers on pasture. Future goals include farming full-time on their own and raising pastured poultry, pigs and sheep as well as vegetables. Possible uses for their Savings Incentive Program savings and match dollars include improving fences, buying a better water system and increasing the herd size.